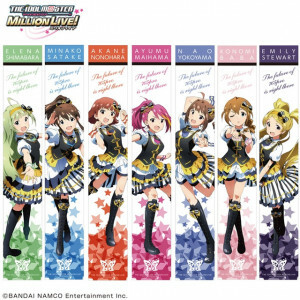 THE iDOLM@STER: Million Live! is a game that features all of the 765PRO idols and 37 new idols. Like THE iDOLM@STER: Cinderella Girls, it is a social media game. However, this game's characters already have voice actresses for all of their idols. The game's service officially ended on March 19, 2018, and most Million Live content and updates were shifted to Theater Days.